The Island of Tenerife juts proudly out of the Atlantic Ocean to the west of Africa and is the largest of the seven Canary Islands. Its stunningly beautiful yet rugged coastline and warm climate are a true paradise for adventurous travellers and its dramatic landscape provides a perfect backdrop to explore new terrains and seek out new thrills. It is also the perfect destination for educational school travel trips. For many, the Canary Islands conjure up visions of sun, sea and Sangria. But think again. After 12 million years of volcanic creation, Tenerife isn’t an island to underestimate. Whilst perhaps more commonly thought of as a sun worshipping destination, it is in fact a biodiversity hot spot with over 300 volcanoes of varying types and sizes. The most prominent, Mount Teide, is in fact the third largest in the world from the sea floor, and the last eruption in its surrounding volcanic complex was in 1909, a mere 110 years ago at Chinyero. Wondering how to organise a trip for your scientific students? 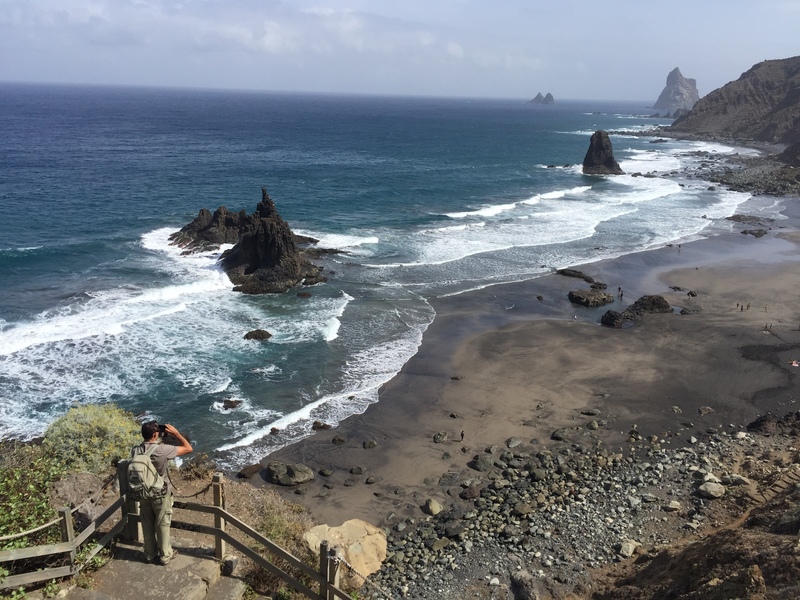 Enter GeoTenerife, a British travel company that specialises in field trips to the island in order to study local flora, fauna and geographical sites. The company is immensely proud to immerse clients in the natural abundance that Tenerife and its neighbouring islands have to offer. Schools, colleges and universities - whose pupils are focused on scientific fields such as Geology, Botany, Geography, Astronomy or Marine Biology - are using GeoTenerife for tailor-made trips of a lifetime, which may otherwise prove difficult to organise. GeoTenerife is fully covered by ABTA, the UK travel trade association. With in-depth, local knowledge to hand (they have a fully owned local subsidiary with a full-time bilingual field trip coordinator) and a passion for creating awe-inspiring educational trips, GeoTenerife are experts in providing groups with fun, engaging and informative field studies, lectures and excursions. Prices are competitive too, due to GeoTenerife’s relationship with local hotels, experts and transport companies. It means that educational departments are able to organise once in a lifetime trips for their students, without any of the complications. Simply discuss your requirements with GeoTenerife, and they’ll take care of the finer details for you. 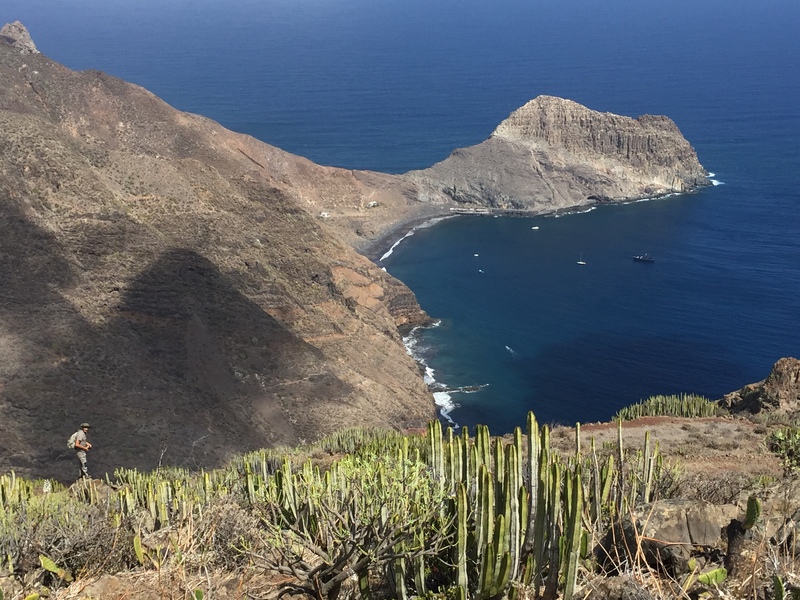 Botany: Tenerife is the largest and highest of the Canary Islands, which explains why it boasts the greatest biological diversity in the archipelago. There are over 800 species of fauna and flora living here that are unique in the world. 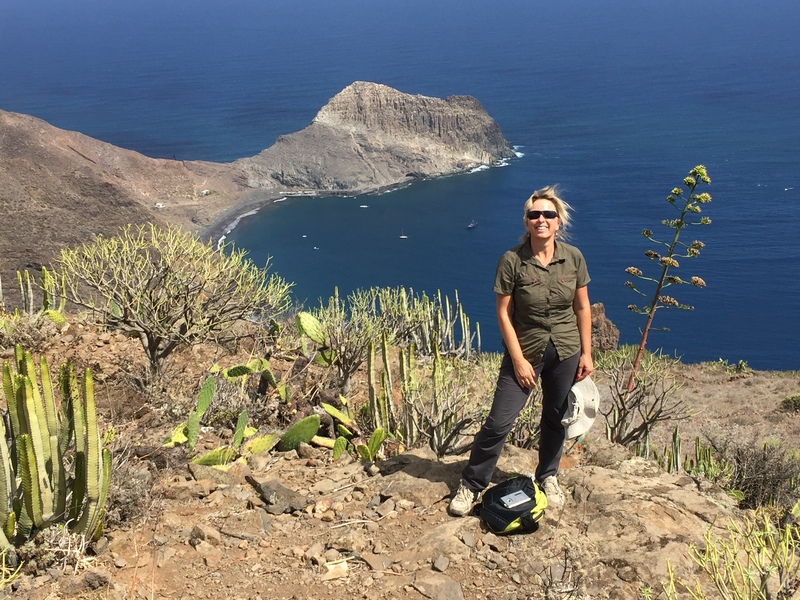 With over 1,400 varieties of plant life found on Tenerife, some of which are endemic to specific areas such as the National Park, there’s an abundance of flora to explore and study in detail. Tenerife's vegetation can be divided into six distinct ecosystems depending on altitude and orientation: coastal spurges and tabaibas; thermophilic forest; prehistoric laurel forest; Macaronesian heath; pine forest and high mountain. GeoTenerife coordinates exclusive tours with experts to these environments so that students can study indigenous species within their natural habitats. Marine Biology: The marine life found in the Canary Islands is interesting as it's a combination of North Atlantic, Mediterranean and endemic species. Tenerife boasts the greatest variety of whales and dolphins throughout Europe, such as the resident Pilot whale population. GeoTenerife works closely with private companies and public institutions that monitor the heavily populated seas and coasts using a range of associated disciplines including hydrogeography, hydrodynamic modelling and remote sensing which means they have privileged access for undergraduate students wanting to learn from those at work in the field. Want something a little less specific? GeoTenerife can add a day to your school trip on the high seas with a marine biologist who can explain the extraordinary variety of life beneath the waves. Renewable Energy: As far as renewable energy goes, Tenerife is setting a precedent and leading by example. Bioclimatic and sustainable housing, windfarms, biodigestors and solar photovoltaic power plants are all present upon the island, amongst other industrial installations related to sustainability, such as urban waste treatment plants, desalination facilities, composting and recycling. Those wishing to study such sites need look no further. GeoTenerife can facilitate privileged access to these sites and installations not usually open to the public to ensure your students can see everything up close and learn as much as possible. Volcanology: Mount Teide, a World Heritage Site, is Spain’s only dormant volcano and the eruption of its Pico Viejo vent formed the world's fifth longest lava tube. With lava fields from a range of different types of volcanic eruptions, it's a little known fact that Tenerife has a greater range of geology on display than Hawaii. Pyroclastic flows generated by ultra-Plinian type eruptions over 12 million years have deposited a large range of ignimbrites of varying geomorphologies associated to explosive volcanism. This makes Tenerife a unique destination for the study of volcanology and geology. GeoTenerife has in-depth knowledge of hidden gems and remarkable sites for your students to see and study - whether you want to stick to the National Park (but away from the crowds) or venture further afield. We work closely with the local institutions monitoring volcanic activity on the island, so we can organise private lectures and excursions for your students. Oh, it's warm and sunny in Tenerife too. All year round. In fact most of our school trips include a side visit to a beach or the world-famous Siam Water Park. Tenerife also enjoys among the greatest number of annual "daylight hours" anywhere on the planet - which means you can make the most of your days out in the field here, even in "winter". Whether you’re after a walking tour of extensive pine forests, field study amongst subtropical vegetation and climate, deep gorge and precipices at Anaga and Teno or simply want to look upon the volcanic summit of Teide in awe, look no further than GeoTenerife. Organise a tailor-made trip to fit in with your curriculum and help unlock your students’ potential. For budding scientists, it doesn’t get much better than this. For further information about GeoTenerife please contact Mary-Jane Rose at Mary-Jane@Famouspublicity.com or Tina Fotherby at tina@famouspublicity.com or call the office on 0333 344 2341. GeoTenerife is a UK company with a fully-owned subsidiary in the Canary Islands that organises tailor-made field trips and courses for universities, schools and colleges. GeoIntern is a summer programme run by GeoTenerife in association with the Canary Island Volcanology Institute. GeoTenerife also organises field courses for hydrology, marine biology, botany and science communication. GeoTenerife is committed to developing sustainable tourism, and works closely with local experts, institutions and facilities. ABTA member Y6373.